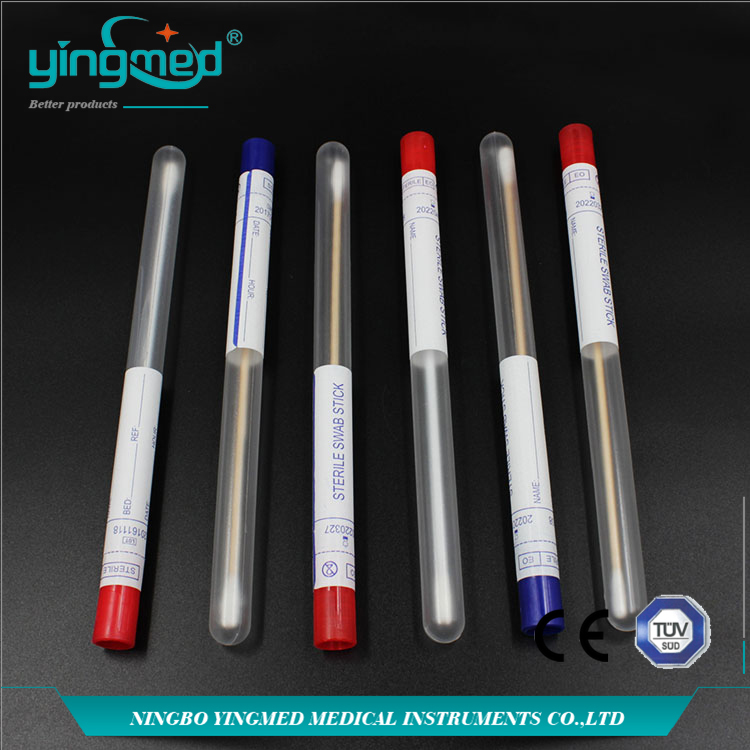 Disposable Collection Swab is supplied in a shockproof round bottom PP tube with PE stopper, which protects the smaple up to the laboratory prior to its analysis, suitable for most specimen, such as from oral, vaginal, skin and wound specimens. Dimension of tube: Dia13*150mm, Stick Dia(2.2-2.5)*150mm, Tip Dia 5mm, OEM is available. Looking for ideal Cllection Swab Manufacturer & supplier ? We have a wide selection at great prices to help you get creative. All the Disposable Swab are quality guaranteed. We are China Origin Factory of Medical Disposable Swab. If you have any question, please feel free to contact us.